Designed, manufactured and assembled in the USA! 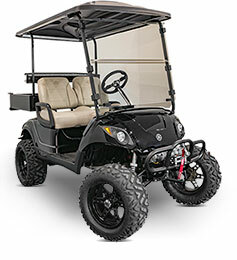 We carry tailor-made windshields for all popular carts from Club Car, E-Z-GO, and Yamaha. From acrylic to impact-resistant to AS5 certified, we have the right fit for your needs. Most models are available in your choice of clear or tinted. All windshields include complete mounting hardware! Buggies Unlimited new quick mount folding windshields features a patent pending quick disconnect mounting system. This allows for simple removal and re-installation of the windshield without any tools in under 60 seconds. Perfect for those who trailer their carts often and are tired of having to dig through your toolbox every time you need to remove your windshield before hitting the road or reinstalling it when you get to your favorite race track or vacation spot. 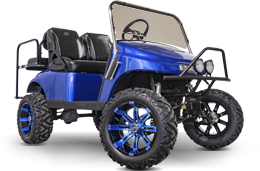 Shop For Club Car | Shop For Yamaha | E-Z-GO Coming Soon!!! The top half folds down, so you choose how to use it! Get protection from cold, rainy mornings when you need it, or enjoy fresh airflow on hot afternoons. Our lineup of folding windshields are available in two thicknesses, plus your choice of clear or “light smoke” tint. Our impact resistant folding windshields not only conveniently fold down; they are also constructed from thicker, impact-resistant acrylic. This will withstand debris such as rocks, low-hanging branches and more. Available in clear or “light smoke” tint. We are now proud to offer you DOT approved flat windshields! These models are recommended for street driving, and are required in some states for registered vehicles. This street legal clear windshield is made of high-grade polycarbonate and features a tough coating to resist scratches. 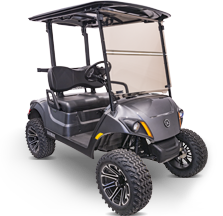 The Jake&apos;s sport windshield is available for all popular golf carts, and provides a low-profile look that will set your cart apart from the others. Constructed from tinted acrylic and mounted in a polished stainless-steel frame. Need some help choosing a windshield? 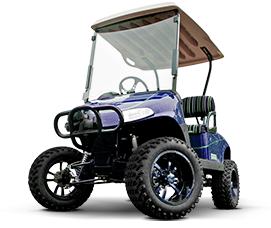 We carry tailor-made windshields for all the popular carts from Club Car, E-Z-GO, and Yamaha. Because there are variations between models, it's important to know your cart year & model before purchasing. For help finding this information, please check out our cart identification guide here. When it comes to material, Acrylic is the choice of many manufacturers and is a great OEM-quality replacement at an affordable price. If you're looking for an upgrade, consider an impact-resistant windshield, made from tough polycarbonate to withstand road debris such as rocks, or low-hanging branches if you're hitting the trails. 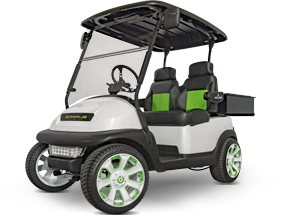 At the top of the range, AS5 windshields are recommended for street-driven golf carts, and are required by some states if you are planning to register your cart for road use. An added benefit of a polycarbonate windshield is the scratch-resistant coating. Folding windshields have a flexible hinge halfway up, allowing the top section to fold forwards to allow airflow when you want it. In less than ideal weather conditions, simply fold it back up and stay dry. Winged windshields include extra wrap-around side sections for maximum wind deflection. One-piece windshields offer the maximum unobscured view. Please note that AS5 windshields are not available in folding styles. Finally, there's the choice of clear or tinted on most models. Choose from clear for maximum light transmission, or pick our light smoke tint if you prefer a little more shade on sunny days.